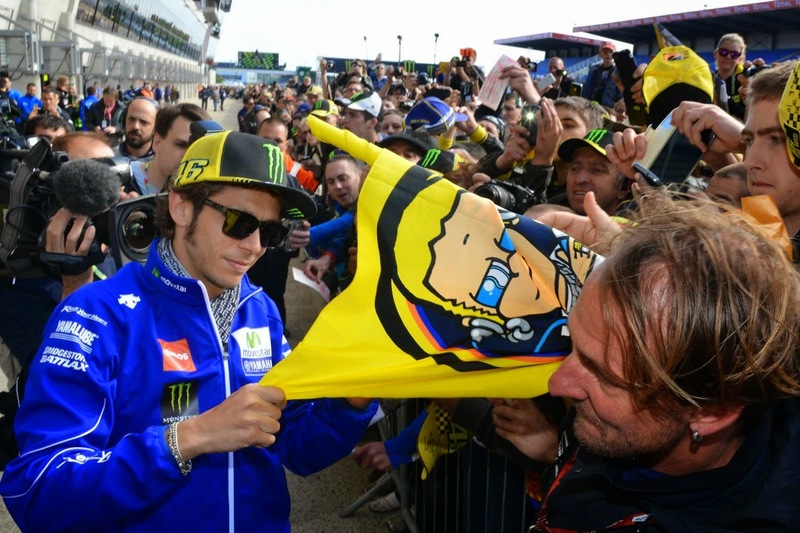 Home Valentino Rossi Rossi: "I‘m ready for tomorrow morning"
Rossi: "I‘m ready for tomorrow morning"
Valentino Rossi qualified on the third row for the #FrenchGP. Rossi gave his all to clock a 1‘33.352, shooting him up to the top six, before being demoted to seventh in the final stages of the session. The Doctor still had some time left for a final push, but he was unable to improve and remained seventh. 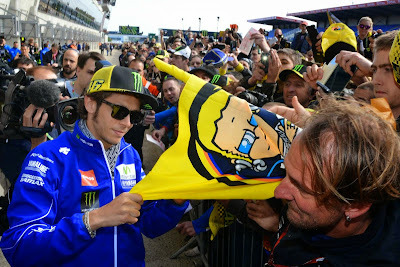 Rossi: "I had hoped to stay a bit more at the front, on the second row, but we were unlucky. It was a very important free practice because we had a new tyre and had to try a new setting, because I wasn‘t fast enough and it was difficult this morning. Unfortunately it rained and I wasn‘t doing so bad, but I couldn‘t try my bike on the dry, so I had to start on a different bike during the qualifying and that‘s always difficult. "At the end I arrived in seventh place and I think with some more kilometers I could have done better. We can improve the pace, because this new setting is better, but for tomorrow it will be hard because the first three guys on the front row have a very good pace. We have to try the maximum to stay with them. This morning we suffered because we were always on a used tyre. We understood that the modifications we had done were not right and for this afternoon we changed a lot. 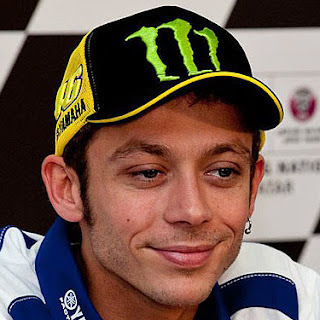 "I‘m still not fast enough but I think with more laps in, I can go faster and we hope for good weather. I‘m ready for tomorrow morning, I‘ll try to have a good warm up and be ready for the race." We have to try the maximum to stay with them. This morning we suffered because we were always on a used tyre. We understood that the modifications we had done were not right and for this afternoon we changed a lot.